To me, Hummus is a fantastic dish to-g0 for lunch! I often make a Hummus the previous day and the next morning I can easily take it with me to work in a glass jar. 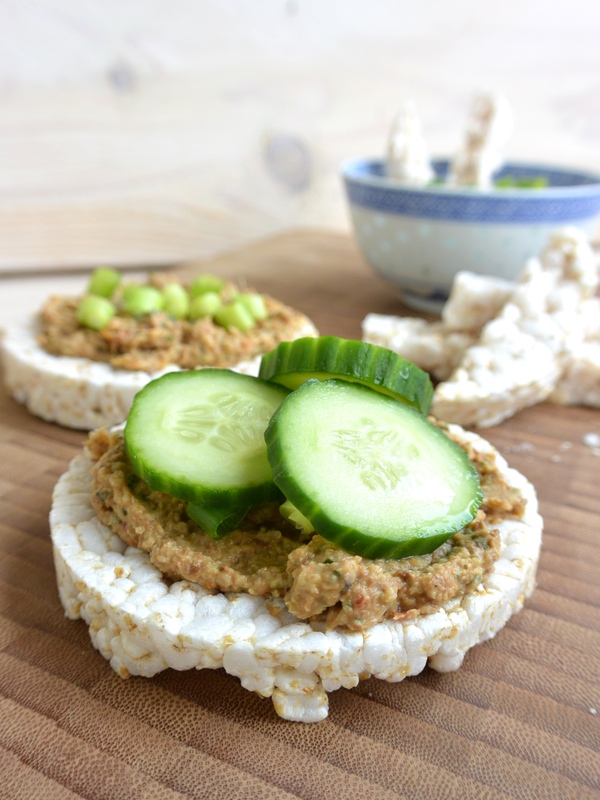 Pair it with some rice crackers and vegetables such as cucumber or carrots and you have a healthy, easy and delicious lunch! Of course hummus is also a perfect snack in the afternoon. Originally Hummus is made of Chickpeas and tahini, but I give this ancient recipe my own twist and made a Hummus based on lentils and artichoke. Put all the ingredients in a mixing cup and mix firmly with a handmixer until you have the desired consistency. Serve the Hummus for example as a spread on top of rice crackers or toast. You can also serve the Hummus as a dipper with strips of raw vegetables such as paprika, cucumber and carrot. I sprinkled some spring onion on top of the Hummus for an extra spicy bite. 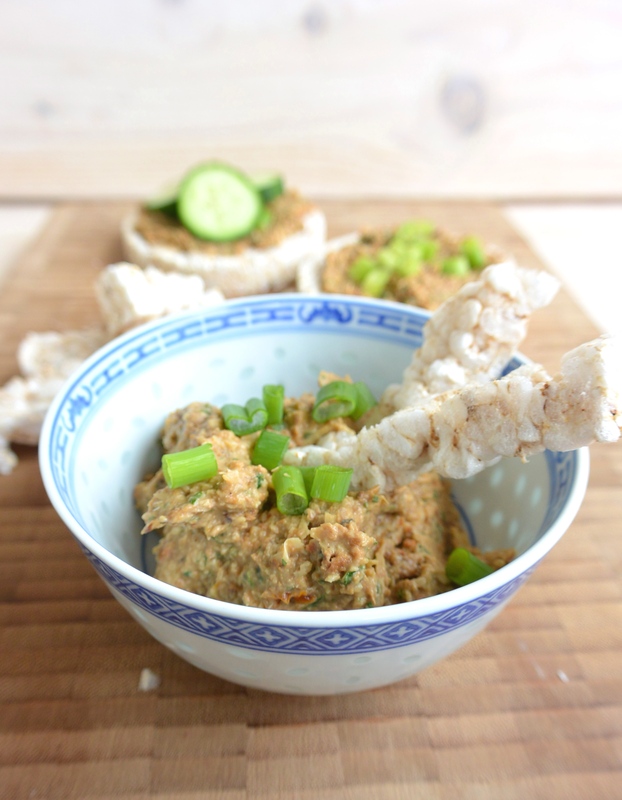 Posted in Lunch, recipes, SnacksTagged artichoke, dairyfree, dipper, fit, food, glutenfree, glutenvrij, healthy, healthy lifestyle, healthy snack, herbs, homemade, houmous, hummus, lentils, lunch, natural, recipe, snack, soyfree, spread, sugarfree, suikervrij, vegan, vegetable, vegetables, vegetarian, veggie, veggies, zuivelvrijBookmark the permalink.